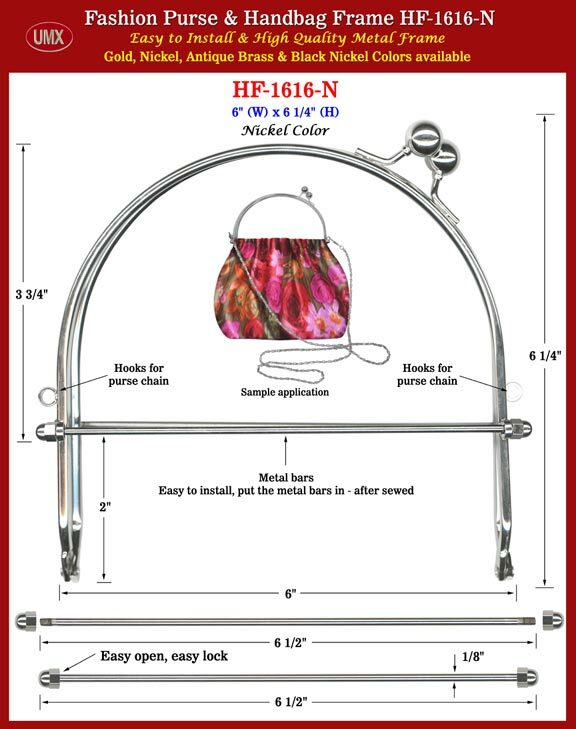 Easy to install purse frames with gold, antique brass, nickel and black nickel colors available. Come with round hooks for purse chain. Optional purse chain.